Archaeologists from Turkey have announced the discovery of an underground city dating back 4,000 years and ostensibly belonging to a Byzantine dynasty. The lost city was unearthed during urban transformation works in Turkey's northern Trabzon province. The Byzantine Empire had a vastly significant cultural legacy, both on the Greek Orthodox Church and on the revival of Greco-Roman classical studies, which influenced the Renaissance. It survived the fragmentation and fall of the Western Roman Empire in the 5 th century AD and continued to exist for an additional thousand years until it fell to the Ottomans in 1453. Its incredible legacy, however, continues to live in most parts of the vast area it once dominated. The recent discovery of a 4,000 year-old underground city in Turkey is more evidence to the magnitude of the great empire from the past. 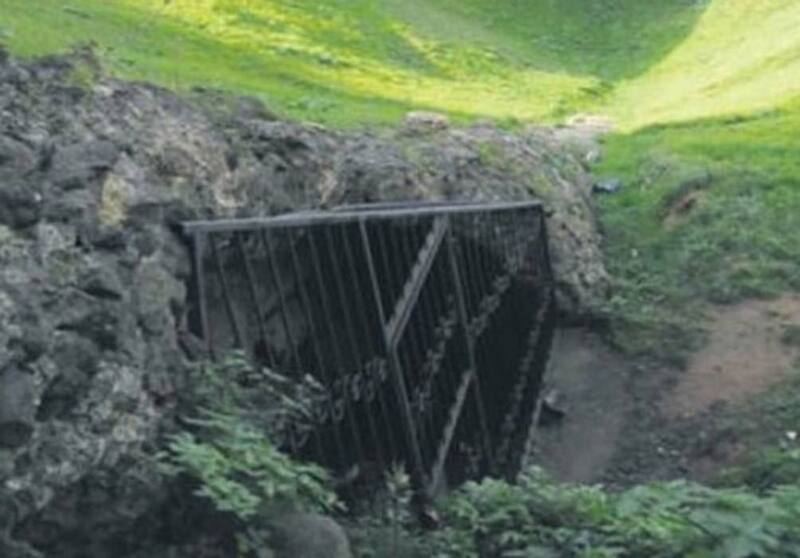 Believed to belong to the Komnenian Dynasty, the underground city was discovered in a tunnel in Ortahisar district by construction workers digging for a project directed by Trabzon Municipality and the Housing Development Administration of Turkey. Soon after the discovery, local authorities postponed the transformation project as Daily Sabah reports , in order to protect the new finds. The period from about 1081 to 1185 is known as the Komnenian period, named after the Komnenos dynasty. Together, the five Komnenian Emperors – Alexios I, John II, Manuel I, Alexios II and Andronikos I – ruled for over a century, presiding over a sustained restoration of the military, territorial, economic and political position of the Byzantine Empire. Greek monk and historian Michael Psellos reports that the family originated from the Greek village of Komne in Thrace. 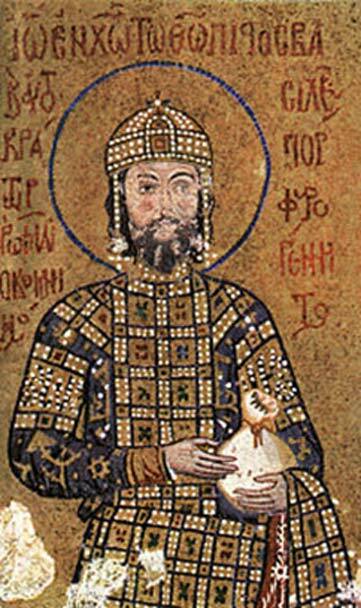 The first known member of the family, Manuel Erotikos Komnenos, acquired extensive estates at Kastamon in Paphlagonia, which became the stronghold of the family in the 11th century. The family thereby quickly became associated with the powerful and prestigious military aristocracy of Anatolia. Byzantion, under the Komnenoi played a key role in the history of the Crusades in the Holy Land, while also “exporting” immense cultural and political influence in Europe, the Near East, and the lands around the Mediterranean Sea. The Komnenian emperors, particularly John and Manuel, exerted great influence over the Crusader states of Outremer, whilst Alexios I played a key role in the course of the First Crusade, which he helped bring about. Moreover, it was during the Komnenian period that contact between Byzantium and the “Latin” Christian West, including the Crusader states, was at its most crucial stage. Venetian and other Italian traders became resident in Constantinople and the empire in large numbers (60–80,000 “Latins” in Constantinople alone), and their presence together with the numerous Latin mercenaries who were employed by Manuel in particular helped to spread Byzantine technology, art, literature and culture throughout the Roman Catholic west. Above all, the cultural impact of Byzantine art on the west in this period was enormous and of long lasting significance. The Komnenoi also made a significant contribution to the history of Asia Minor. By reconquering much of the region, the Komnenoi set back the advance of the Turks in Anatolia by more than two centuries. In the process, they planted the foundations of the Byzantine successor states of Nicaea, Epirus and Trebizond. Meanwhile, their extensive project of fortifications has left an enduring mark upon the Anatolian landscape, which can still be appreciated today. Back to 2018, Ali Ayvazoğlu, Provincial Culture and Tourism Director, pointed out that Trabzon is historically known as the "city of tunnels,” while he also added that the underground city is expected to be unearthed and become a tourist attraction in the following years. Furthermore, Mr. Ayvazoğlu was happy to announce another discovery in the region that demonstrates the glorious Greek past and presence in modern-day Turkey. A Greek Orthodox chapel only accessible through a hidden passage was found during the restoration of historic Sümela Monastery in Trabzon province. Work has immediately been launched to reveal the chapel and open it for visitors, as Daily Sabah reports . According to Mr. Ayvazoğlu the newly discovered chapel reportedly has different murals depicting the "heaven and hell, and death and life." An excited Mr. Ayvazoğlu said that some very nice surprises are awaiting for the visitors and tourists after all renovation work is complete, "Visitors will have the opportunity to see places they were previously unable to visit," Ayvazoğlu stated via Daily Sabah , adding that with the use of modern technology local authorities will do their best during restoration in order to avoid mistakes of the past when archaeological jewels of Greek and Christian origin were severely damaged. Trabzon, historically known as Trebizond, is known to have been founded by milesian traders (from the greek city of Millet) in 756 BC. If that underground city found near it is really 4000 years old, then it predates the city of Trebizond and must date back from the era of Hittite Empire that covered most of Anatolia in that time. Maybe the article is talking of Byzantines because at their time that underground city got in use again which could explain the confusion, but if it's 4000 years old it just cannot be of Byzantine origin for timeline reasons.